Now that it’s a new year, we can look back on the old year! The main question is, of course, how many blue sky days did we have? According to statistics for the year released by the Beijing Environmental Protection Bureau, which ranks each day from 1 to 6 (highest level of pollution), 176 days in 2013 were considered Level 1 or 2, with low enough pollution to be counted as a blue sky day. But in my experience, Level 2 can already have some haze, so really only the 41 Level 1 days should count. So there you have it: 41 days — or less than 1.5 months — of blue skies in 2013! 2013 pollution was basically on par with 2012 pollution, though, which means that the calls to action in 2012, in which public outcry led to the government to be more forthcoming about the air quality, were rather anti-climactic. I tell you, it’s a major disappointment given the many inventive strategies officials came up with to reduce pollution. 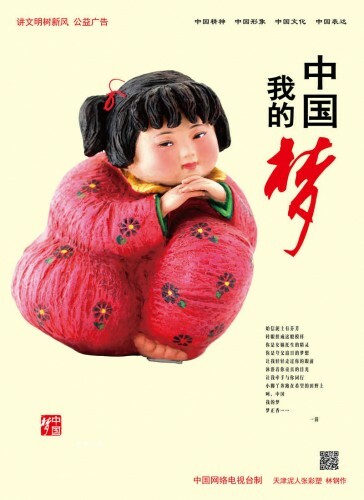 2013 is also the year that the slogan “China Dream” became a political tour de force. After the stuffy Hu Jintao years, the leadership change was self-willed into being a breath of fresh air, carried far and wide by this government-sanctioned notion. China’s new president, Xi Jinping, decided to make it the hallmark of his administration, and thus a catchy new template for all future propaganda was born. Xi outlined what he determined was the China Dream, and then everyone began to overanalyze what exactly the China Dream is. On the law front, China’s new entry-exit law went into effect over the summer, making it much harder for both tourists and workers to come to China. The government also cracked down on Internet rumors in the name of social harmony, but the new threshold for constituting a crime has instead (and not surprisingly) led to a chilling effect, albeit a successful one, on free speech. More recently, China rolled back two of its most notorious social policies: its one-child policy and its reeducation through labor system. Finally, on the personal front, 2013 was mostly a year of trips. I visited six new places, three in China and three Asian countries. I revisited Suzhou. And I even had time to spend a couple of weeks in the U.S. I read five books and made it halfway through two others. I learned how to make poached eggs, ice cream and ice cream sandwiches. Categorized in: China, Cooking, Environment, Expat Living, Foreign Affairs, Politics, Travels, USA! USA!